totalprogUS: Netbeans : Cannot execute ... Check external browser configuration. Netbeans : Cannot execute ... Check external browser configuration. Then you have to modify this parameters. 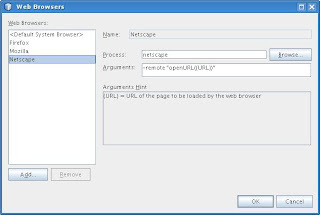 hi, i use netbeans 6.9. wen i run my proj i get warning message as cud not acccess the URL through external browser. 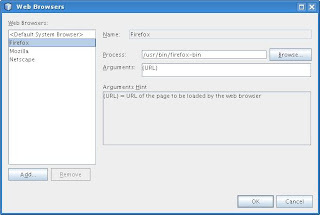 check browser configuration. pls hlp me how to ovrcum this prob..